A few months ago, I was provided from samples of Simple skin care items from Birchbox to review for the blog. Now that I've had an adequate amount of time with the products, I feel like I can give you my honest review on the three items that I received. To see what I think about Simple's line, keep reading. First and foremost, I want to reiterate that these items were provided to me for review on my blog. They were not provided to me by Simple, but by Birchbox. They sent me three items; the Protecting Light Moisturizer SPF 15, the Eye Makeup Remover Pads, and the Soothing Eye Balm. 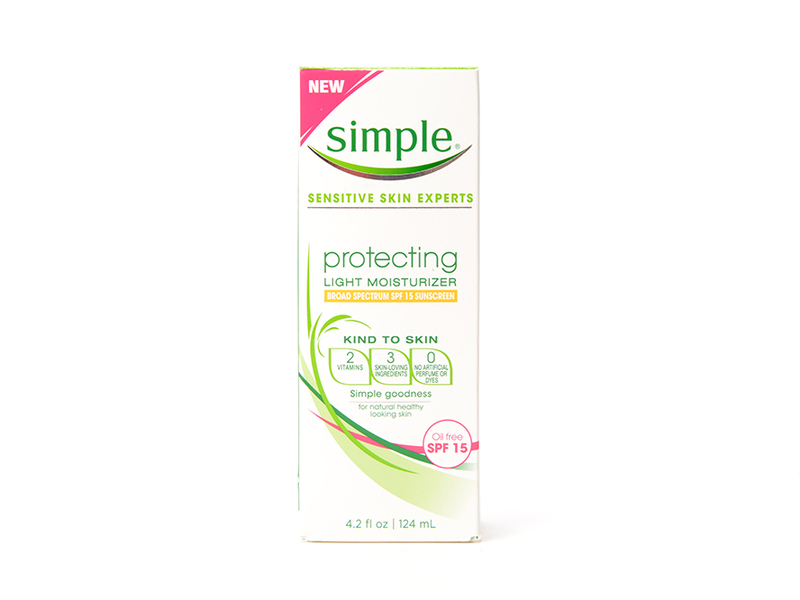 If you've never heard of Simple, their main claims are that they are kind to skin and that they are the "sensitive skin experts". They don't use fragrance or anything "unnecessary" to their products and they often have vitamins included for your skin. First to bat are the Eye Makeup Remover Pads, which I was really excited about trying. Unfortunately, my excitement stopped there. While I really like the idea of makeup removing wipes or pads explicitly for the eye area, I don't feel like these were executed very well. 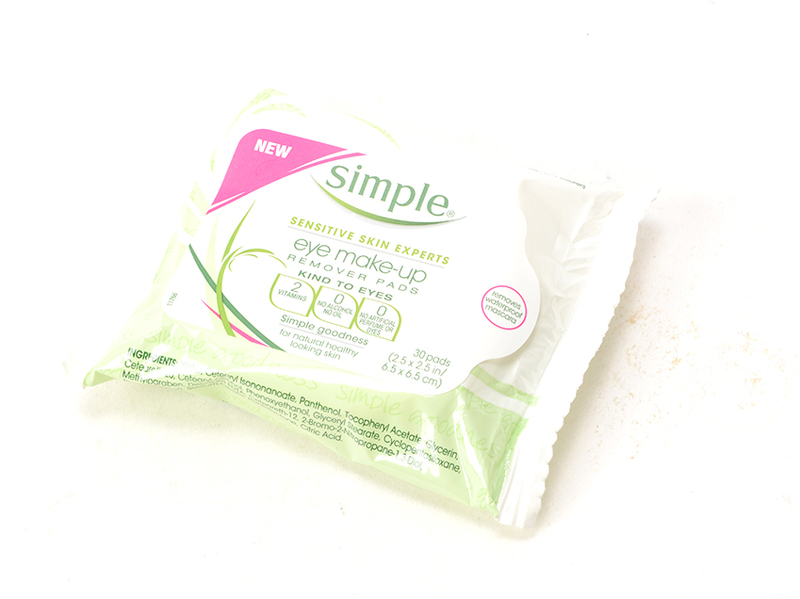 At first, they seem like a great size since they are for the eye area (they're about half the size of a normal makeup remover wipe), but I can use one pad on one eye and not get all of my makeup removed. The pads also feel a bit scratchy on my eyes which is extremely uncomfortable; I don't know a single person that would want to rub their eyes with something scratchy. Also, the makeup remover would sting my eyes once I got in the shower and it has the opportunity to run into them... which hurts! Like I said previously, I could use one wipe for only one eye and not get my makeup removed. Since I'm used to using eye makeup remover with oil in it, anything without just doesn't seem to do as good of a job. You get 30 pads for anywhere between $5 and $6, which is also fairly expensive. My advice on these? Skip them. 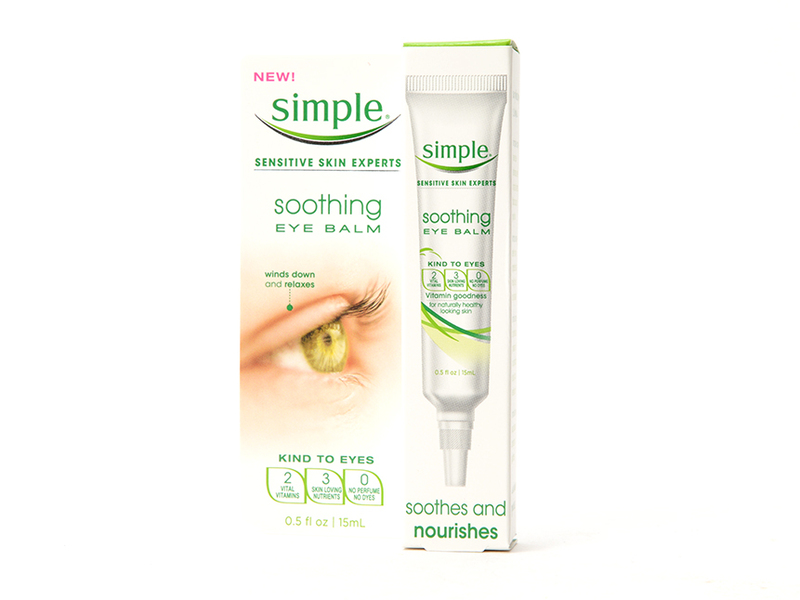 I haven't used the Soothing Eye balm in the last two or three weeks, but I did use it almost every single day in the spring. My eyes aren't irritated often and while I could obviously use this even if my eyes aren't irritated, I tend to forget. However, in the spring, I suffer from horrible allergies which affect my eyes quite a bit. Every night after I would shower, I applied this balm to my eye area and let it calm my delicate skin. I'm kind of torn on this item because I'm not sure how well it actually works. Yes, it did soothe my eyes when I had scratched the living hell out of them, but most eye creams would do the same thing. One nice thing about it though is that it didn't sting my eyes at all, unlike the eye makeup remover pads. One large perk about this is that it takes a very small amount to soothe the eye area and I have most of the container left of this. At $10, it may seem a bit steep since it's a drugstore item, but it'll probably last you a fairly long time. My advice on this? If you have eyes that are often puffy or irritated, give it a whirl. I'll admit this right now, I don't typically use a moisturizer with SPF because I'm not outside during daylight hours pretty much ever. 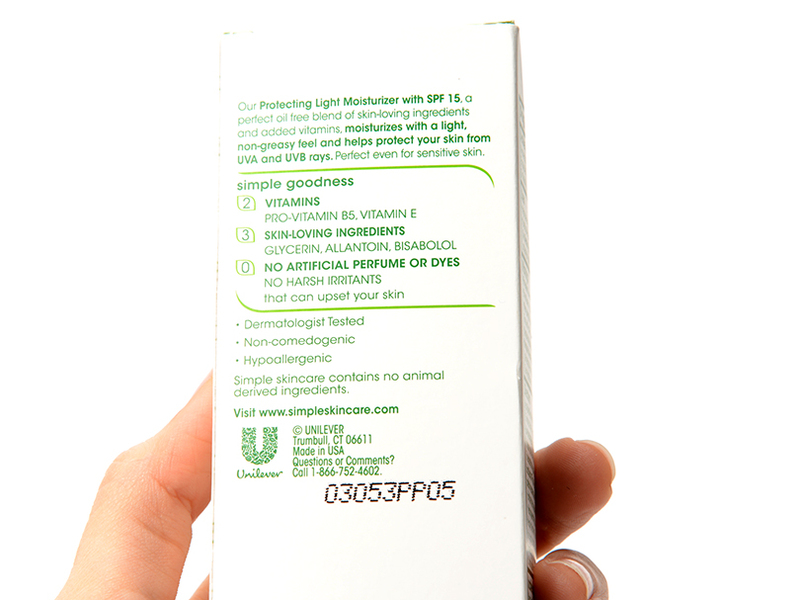 However, I was really excited to see the Protecting Light Moisturizer with SPF 15. One of the few times I am exposed to sunlight is on my drive to work in the mornings and I've been thinking that I should be applying something with SPF. I put off using this specific product for a long time because I'm so in love with my Clinique Dramatically Different Moisturizing Gel and so so many other products cause my skin to break out. I figured that I should probably try this out so that I could actually review the products though and I'm really glad that I did. It moisturizes well without making my skin ridiculously oily (it's an oil free product) and like I stated, it has the added bonus of providing some SPF. There are only two things that I don't like about it and both are fairly minor. The first thing that I don't like is that because it's thicker than my Clinique, I feel like I have to wait for it to dry before I apply my makeup. The other thing that I don't like is that, like any other moisturizer with SPF, it smells like sunscreen. The sunscreen scent is faint, but it's still there and it bugs the living crap out of me for the first 30 minutes that this is on my skin. Like I said, both things are minor annoyances and I don't know if everyone would pick up on the sunscreen smell (I have not only sensitive skin, but a sensitive nose!). My advice? If you're looking for a moisturizer that won't make you oily and give you a bit of SPF, then you should definitely check this one out. I will probably be repurchasing this when I get through the bottle which will take a while since I only use it in the mornings and use a dime sized amount at a time. I hope that this helps any of you who may have been eyeing these items at the store. If you have any questions or comments, let me know!